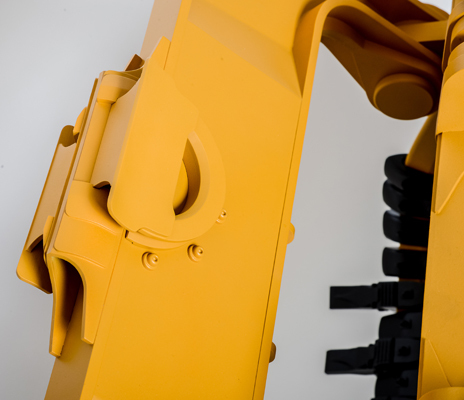 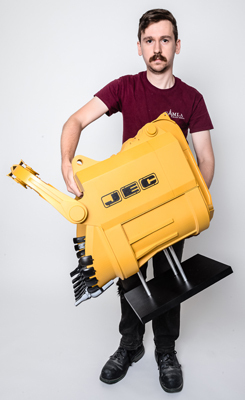 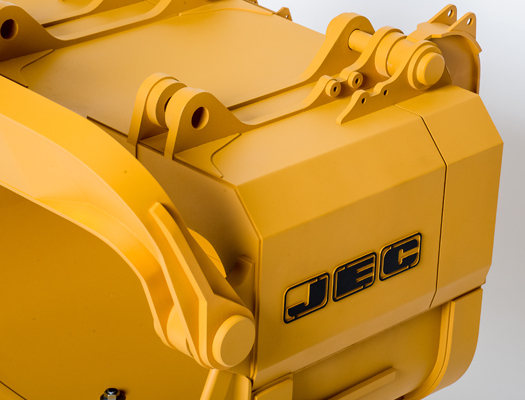 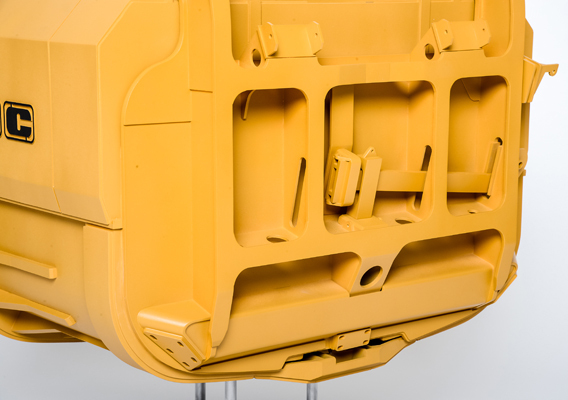 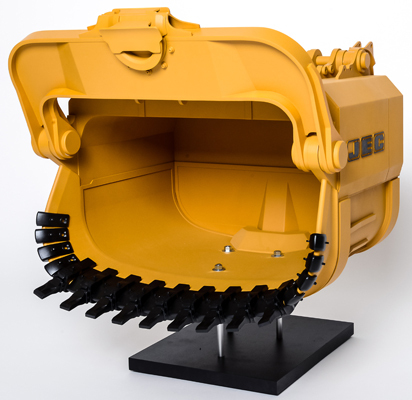 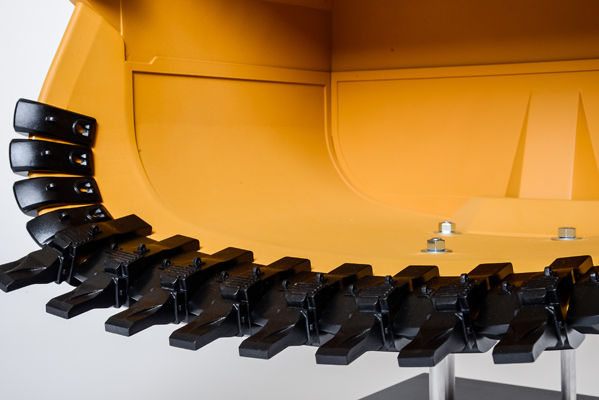 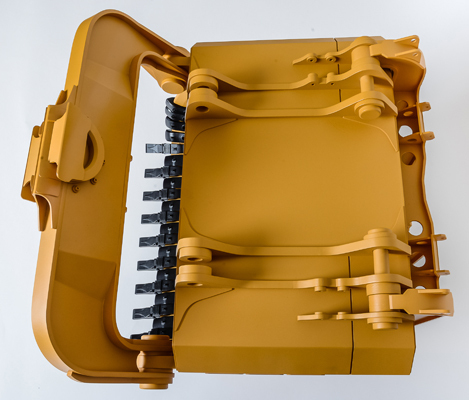 This is a large 1:10 scale model of a Mining Excavator Bucket for trade show, display and presentations. 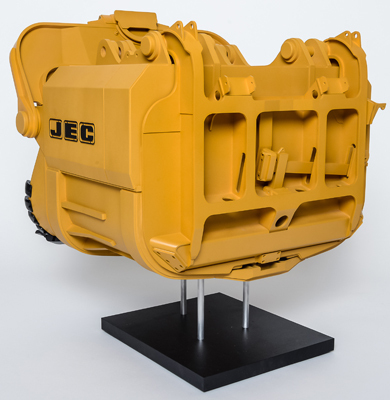 The model is built mainly by traditional machining and manual fabrication. 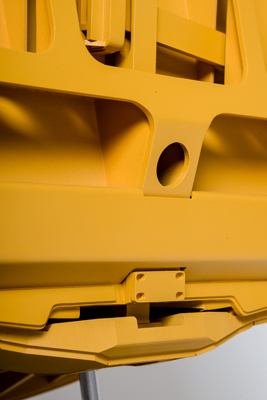 Some parts are laser cut. 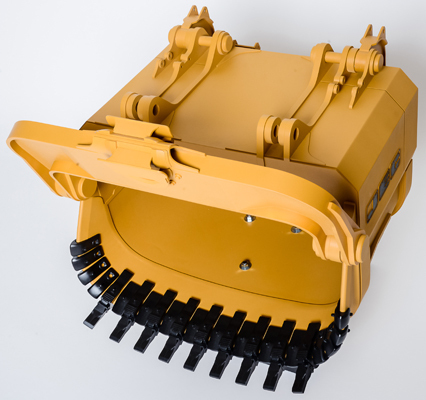 Bucket's "jewelry" (teeth) are rapid prototyped and replicated by resin cast. 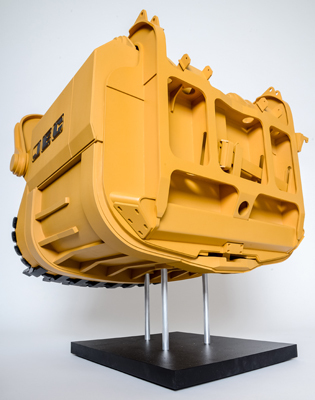 This is an excellent example of a scale model representing a piece of incredibly large and heavy equipment. 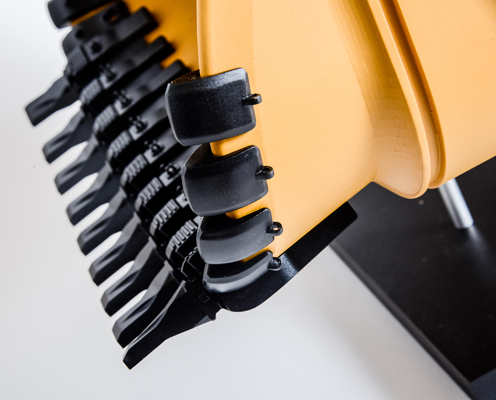 It is intended to replace an actual piece of equipment at a trade show reducing the costs of the booth and transportation to a mere fraction.